I think the problem is the notion that "fun" requires junk food or candy. Certainly food is celebratory and comforting, and while indeed it is and can be "fun", the use of junk food to supply entertainment at events that ought to be fun on their own have become endemic. 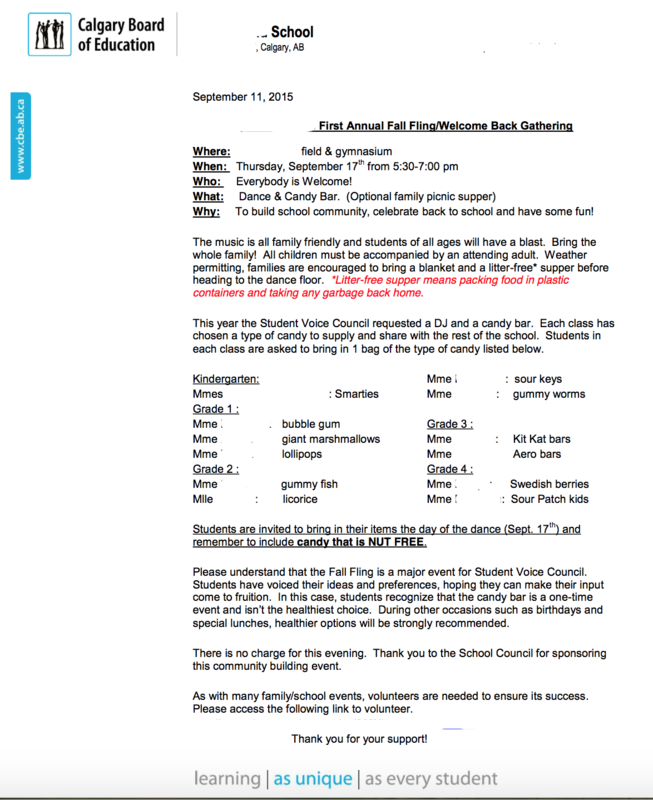 Take this welcome back to school "Dance and Candy Bar" that was put on through the Calgary Board of Education. Kids from Kindergarten through Grade 4 were tasked to bring different types of candy to school so that the "dance" would have a candy bar for them to eat from, whereas the associated school picnic - optional. The photos below are from the party and were sent to me by an RD/parent who'd prefer anonymity and who in the end chose not to exclude her children from this wholly unnecessary elementary school/kindergarten event. Odd, last time I checked with my Grade 1 and 3 year olds, helping them to have "fun" wasn't a high bar. 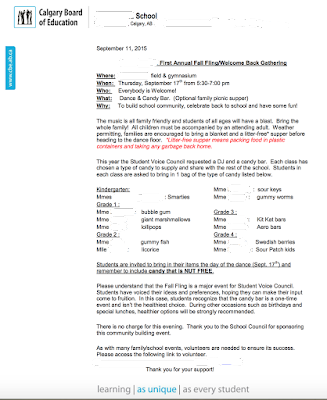 While it's true that it might have taken a teeny tiny bit of thought, creativity, effort, and caring, I have to imagine that the administration involved could have found ways for kids to have "fun" that didn't include organizing for them a school sponsored Halloween in September.